HABIT & HOME: Blog Award! 1. if you've recieved the award, accept it and post it up! make sure to give credit to the blog that gave you the award by linking them. 2. pass it on! 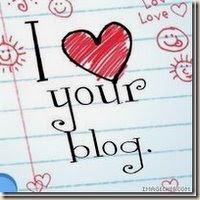 give it to 15 blogs of your choice and make sure to contact them, letting them know you've awarded them. Thanks so much! So sweet of you!!! Thank you Cassie! 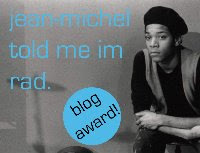 I will put this award on my blog sidebar with a permanent link (and thanks) to your blog. It will be up on Monday! !